Wise Fort Myers homeowners already have signed up for one of our Maintenance Agreement plans at Bowen Cooling. However, those who have not yet may not be aware of why this is such a mistake. Your home is your biggest and most important investment so you want to be able to take good care of it. This includes the components that make your home comfortable, like your heating and cooling system. There simply is no better way to promote good health for your system. This level of maintenance is how you are able to get peak performance and optimal longevity. 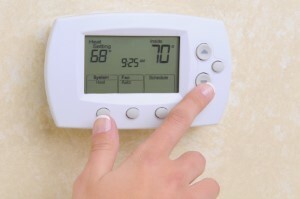 Otherwise, you are taking a risk and a gamble with the overall condition of your heating and cooling system. By adjusting and repairing your system in a timely manner, your system runs better. What's great about this effectiveness is that it also means better efficiency. This reduces your monthly energy costs by also results in less wear and tear on the equipment. This is key to being able to prolong the lifespan and reduce the likelihood of expensive repairs. Your system could be brand new but that new warranty coverage is only as good as the amount of diligence you use in sticking to the guidelines. Every warranty has a clause about keeping up with maintenance. Ignore that requirement and your coverage is as good as void. That means any repairs that present themselves will be yours to cover. At Bowen Cooling, we offer three various Maintenance Agreements that are all extensive and comprehensive. Let us help you get set up with long-term service that will extend the lifespan of your system and offer the best in performance.